Hiyashi Ramen, originally uploaded by Camemberu. We came to Ichiban-Tei not really meaning to have a full dinner (were hoping to get a place at Aburiya next door when a table opened up). I had heard mixed reviews about Ichiban Tei, so never made it a point to try it. But we were pleasantly surprised. The hiyashi ramen (cold noodles) was more than palatable. Could almost give Noodle House Ken's a run for its money. Almost. 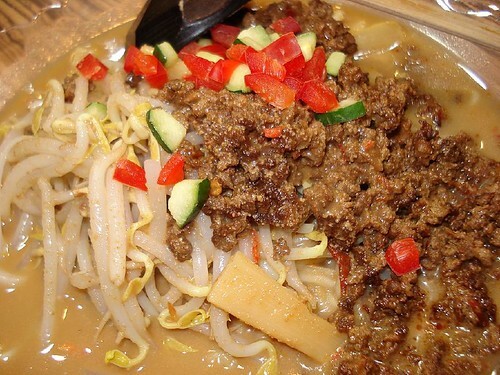 Hiyashi Tan-tan Ramen, originally uploaded by Camemberu. We liked the hiyashi ramen so much, we decided to try another dish - the cold tan-tan ramen. This too, was surprisingly good. Salty, robust and slightly tangy. The bamboo shoots here too, don't have that offensive smell/taste (not so much) like they do at Miharu. Oh, we also shared a plate of plain fried gyoza (also decent). 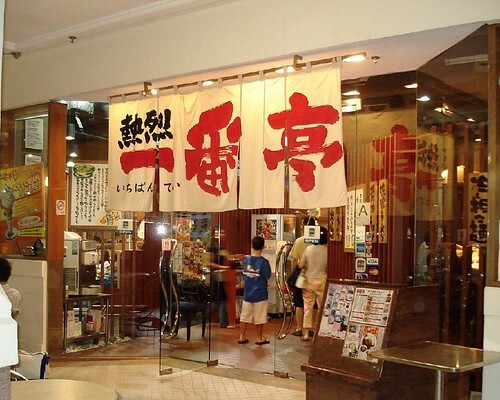 Ichiban Tei at The Quayside, Robertson Quay, originally uploaded by Camemberu. By the time we finished, we were too full for Aburiya (well, we decided to save that for the next day). Hmm, I might come back to Ichiban-Tei to try the hot ramen, especially the tonkotsu. Did smell rather nice from the next table. 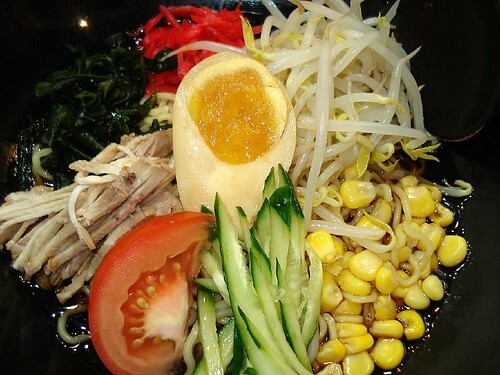 hey try the tokusen tonshio ramen at miharu. much better than the char siew or egg ramen at ken's. But maybe it's just a question of taste. the shoyu type ramens don't appeal to me as much although I had ken's recently and it was better than the earlier first visit which was too bland. still not my thing. Anon/Blu - yes, I was tempted by the ice cream too! Thanks, Cindy - I pretty much only eat the cold ramen at Ken's, the hot ones are just OK. I also don't quite fancy shoyu types. Will go back to Miharu again someday.